Foliola omnia (excepto utrinque infimo) retro-plicata funt, contra ac in fequente. 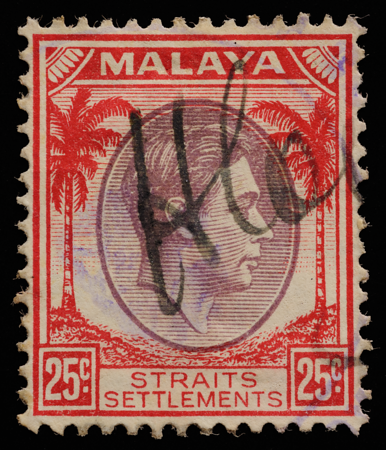 There is one stamp design in British Malaya that witnessed the territory’s convoluted transition from a British colony during the Great Depression, through the Japanese Occupation in World War II and post-surrender British military rule, into the height of the Cold War and the Malayan Emergency, to the country's independence. It has survived plane crashes. 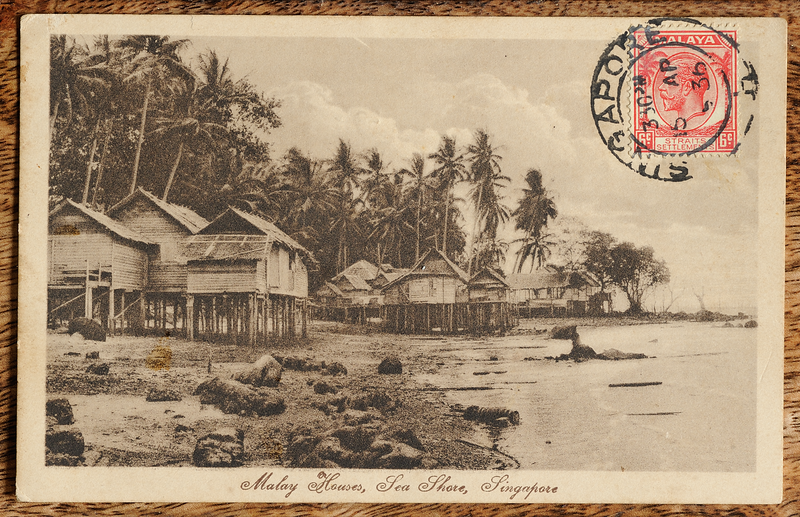 Like no other Malayan stamp, it was used far beyond Malayan shores, even serving a tour of duty on a remote coral atoll in the Indian Ocean. It features, as an abstraction of Corinthian columns, a pair of the coconut palms that grew prolifically throughout the tropical paradise of southeast Asia, across an archipelago of more than 25,000 islands. Their crowns shaped like spandrils in classical architecture, the palms ensconce a sculpted bust of stately marble and stone, an art form whose origins can be traced back to ancient Rome and Greece. It is framed in the upper corners by motifs reminiscent of the fashionable and decorative corner fills in artistic letterpress printing of ephemera such as letterheads and labels (see Clouse & Voulangas 2009). 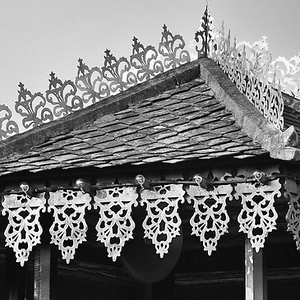 In this case the motifs resemble the ornamental wooden roof fascia or kayu pemeleh found in traditional Malay houses across the archipelago. 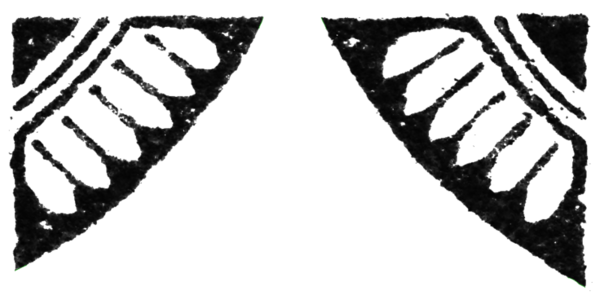 These structures may serve as light-filtering devices for climatic or aesthetic ends (Denan et al. 2015). It is not hard to imagine that the fascia, while adding beauty, would help block the sun and rain while letting fresh air circulate through the openings. See Hashim & Nasir (2011) and Ismail et al. (2015) for further discussion of kayu pemeleh. The motif on the stamp also bears a resemblance the flat tapered roof tiles sometimes seen, or the roof thatching of even more primeval attap dwellings. 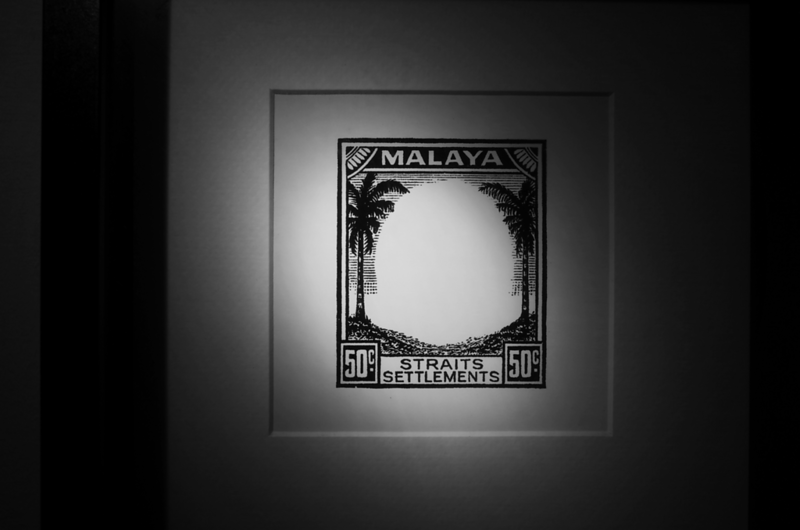 The white horizontal beam beneath MALAYA provides structural support to the 'roof' of the stamp, which is given an appropriate shadiness through the use of white text on dark ground. The design evokes the idyllic kampong (village) life of bygone days in tropical paradise, and serves as a window to the world before our time. 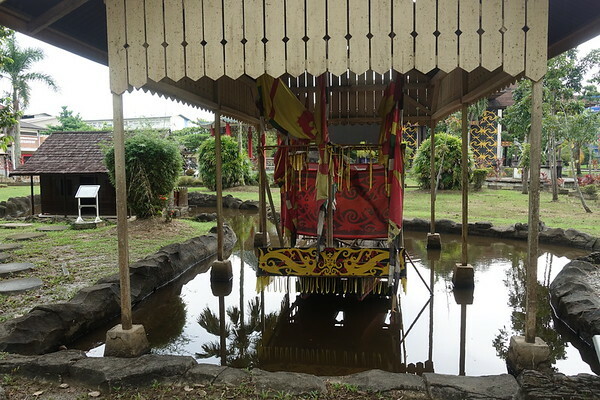 An exquisite example of kayu pemeleh. 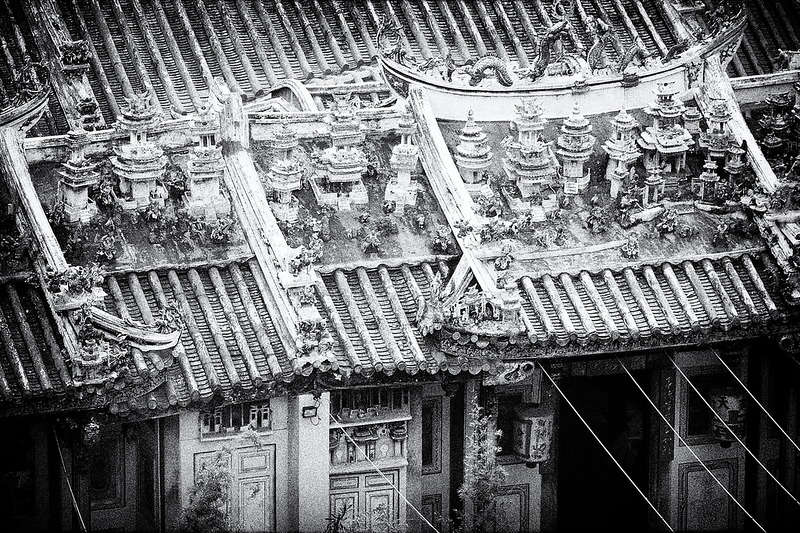 Fascia in Pontianak on the island of Borneo, recessed from the edge of the roof. Another place where one would appreciate some degree of protection from the sun and rain is the railway platform. The so-called "canopy valances" (Binney & Pearce 1979) at Boston Manor station on the London Underground bear an uncanny resemblance to those in Pontianak (previous picture). 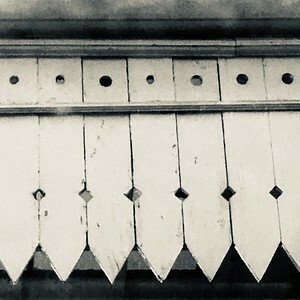 Such Victorian canopy valances occur throughout the British rail network. 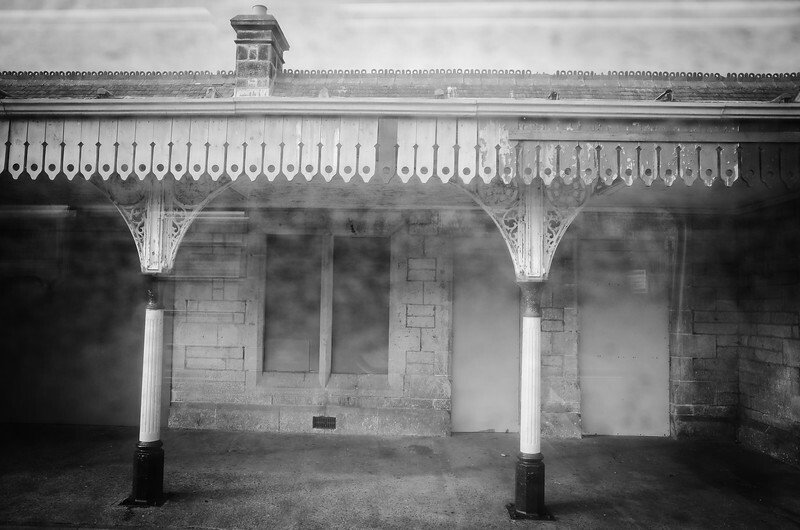 They adorn many of the smaller stations with sheltered platforms but unsheltered tracks, such as Brora station on Scotland's Far North Line. The motif turns out to be a remarkably cosmopolitan architectural feature found even in rural Russia. 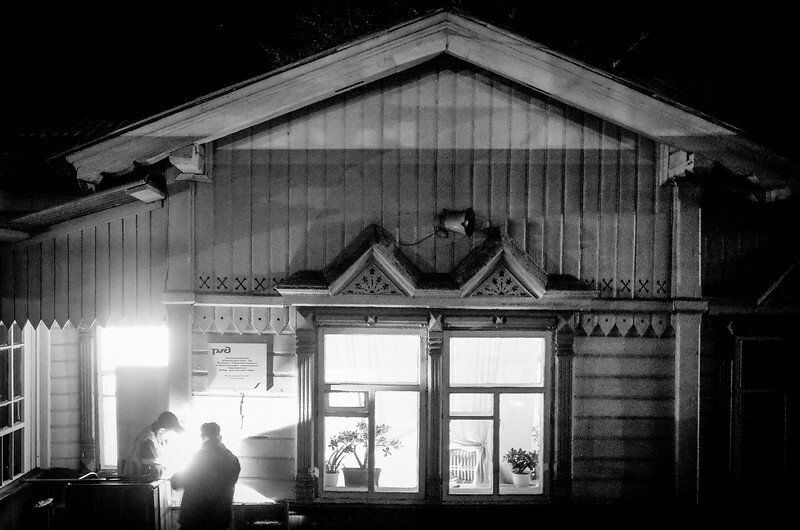 There it is often seen on village houses and train stations, such as Selenga station on the Trans-Siberian Railway. Taking the imagination a little further, the motif doesn't even look too different from the leaf skirts worn by orang asli girls. Skirts fashioned out of unprocessed leaves date from Neolithic times and have been worn by indigenous peoples in remote areas of southeast Asia from Burma to New Guinea (Maxwell 2014). The motif on the stamp hence goes beyond architecture, evoking old anthropological traditions more fundamentally. Postcard published by Max H. Hilckes, Singapore. Coconut palms on the island of Palawan, in the Philippine archipelago. 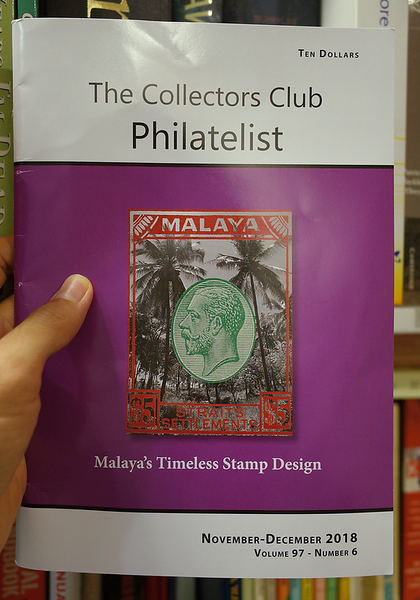 Featured on the cover of The Collectors Club Philatelist (Lin 2018f). The coconut definitive is an epitome of De La Rue's "stylized pictorialism" (Finlay 1974), developed to fit the constrained space of small-format letterpress. See my comparative critique of bicoconut stamp designs from around the world. No art comes without opposing views, however; I know someone who finds the combination of the king with coconut trees incongruent, while the great philatelist John Easton had an adverse reaction to the ‘two feeble palm trees’ (Halewood 2007). Yet anyone who has seen coconut palms in a hurricane will know that they are anything but feeble. 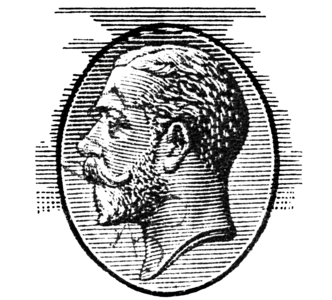 In this medallion of the king, whose design originated in the stamps of Nyasaland (now Malawi) in 1913, the bottom-left portion of the frame is ever so slightly flattened, as if it suffered a blunt impact. This was engraved at Bunhill Row in London by De La Rue veteran Leonard Vincent Phillips, who had joined the firm in 1896 and engraved every monarch from Victoria to Elizabeth II (De La Rue 1952). The background lines in the medallion are slightly slanted downwards from the back of the head towards the front of it. The author speculates that these lines may have been engraved using a pantograph (see Lush & Skinner 2018), which helps produce and miniaturize regular patterns (see my comparison to tigers and zebras). The tilting of the lines could be an artifact of less-than-perfect alignment of the pantograph, or a pantograph that was less-than-perfectly engineered. The lines near the top have been thickened to create "lighting" and make the head more three-dimensional. The oval is a significant visual element, and is a near-perfect mathematical ellipse in the coconut definitive. The height-width ratio of the ellipse is about 1.24 (eccentricity 0.59), same as the European portrait miniatures (below) that flourished from the Renaissance to the early 19th century (Coombs 1998), and very close to the traditional and intimate photographic portrait ratio of 10 × 8. In the 16th century, a gift of a portrait miniature was a highly personal show of favour (Victoria & Albert Museum, London). 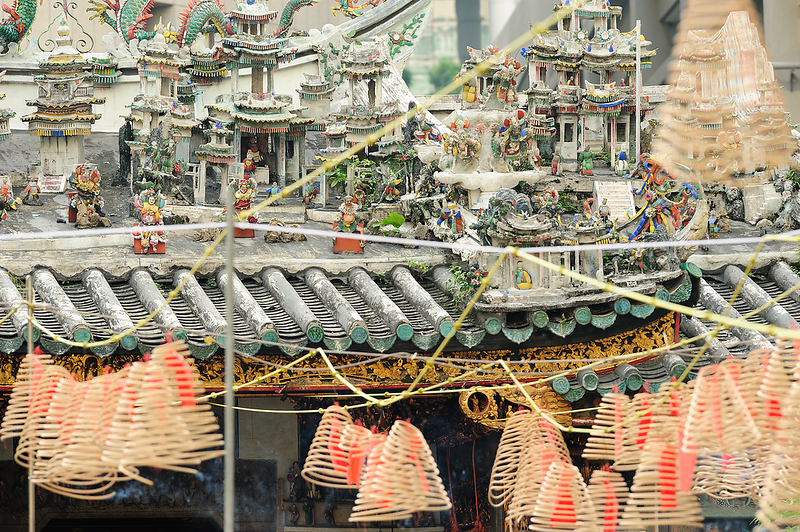 See Malay states for the coconut definitive's own flowering of portrait miniatures. 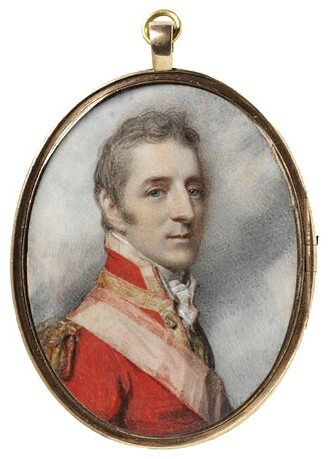 Arthur Wellesley, 1808. Painted by Richard Cosway. The aspect ratio of the duty plate is about 1.19, which has been the case for most small definitives of Britain and her empire since the Penny Black. Early essays of the Penny Black were actually square, with "POSTAGE ONE PENNY" squeezed in along the bottom (Hahn 2008). The design was subsequently lengthened vertically to accommodate the separate lines "POSTAGE" and "ONE PENNY" at the top and bottom (Lowe 1979). This overall layout can be seen in the coconut definitve. The 1.19 ratio suits the portraiture and is easy to handle. There may even be some biological basis to this ratio, as Winne et al. (2015) have found that even rats prefer a ratio of 1.2—similar to the animals’ body dimensions—to the overhyped Golden Ratio of 1.618. George VI (1895–1952) ascended the throne in 1936 after the death of King George V and abdication of Edward VIII. The king's bust was based on a photograph taken on 15 December 1936 by Bertram Park (Barker 1978a). The engraver made George VI's hair darker than that of his predecessor, as was the case in real life—George V had brown curls, versus the almost black mane of George VI. And stirring up the nostalgia of a bygone era is the light of the setting sun visualized through the use of white space near the ground, giving way to dots and increasingly closely spaced lines in the upper part of the darkening sky. A perceptive work of miniature art served on a bite-sized piece of perforated paper. The coconut definitive would, over its many years of service, traverse a kaleidoscopic colour palette and a typographic landscape encompassing the Indo-European, Sino-Tibetan, Japonic and Austronesian language families, and present an extravaganza of portrait miniatures of Malay sultans that encapsulates the cultural heritage of the peninsula.